Meador & Engle represents clients in the United States and around the world from our offices in Southern California. Our firm focuses on business law, from incorporation to stock options to mergers, and intellectual property law, from litigation in state and federal courts to patent and trademark procurement and licensing. Whether you’re an established company, an entrepreneur, business owner, artist, or engineer, we can help protect what you build and implement a strategy to defend it. If you need to navigate securities regulations to raise funding or are facing a lawsuit from a patent troll or competitor, Meador & Engle can help with those challenges and give you peace of mind. We bring extensive experience and insight to every matter and tailor our efforts to suit each client's specific needs. In short, we are good lawyers. Ross Meador and Alan Engle have over 45 years of experience working on complex legal matters, from mergers and investments to high stakes litigation. We stay abreast of legal developments and their influence on modern business and technology to provide superior advice and representation. Our knowledge, experience, and competitive rates enable us to manage matters efficiently and at lower cost than our competitors. We won't bill you for simple questions, gladhand you, or overwork your case or matter. We will strive to handle your matter the way we would want it handled if we were in your shoes. Get in touch with us to set up a consultation, or use the contact form or email to inquire whether our services are right for you or your organization. 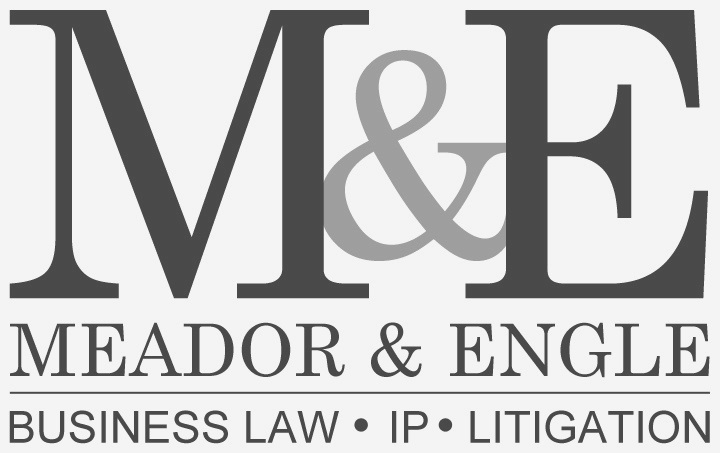 Meador & Engle is a boutique business and intellectual property law firm that provides legal services to established and emerging domestic and international companies in technology, entertainment, manufacturing, and other industries.